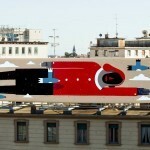 Beast is back on the streets of Milan in Italy where he just unveiled a brand new piece which is entitled “Heavy clouds always break up”. 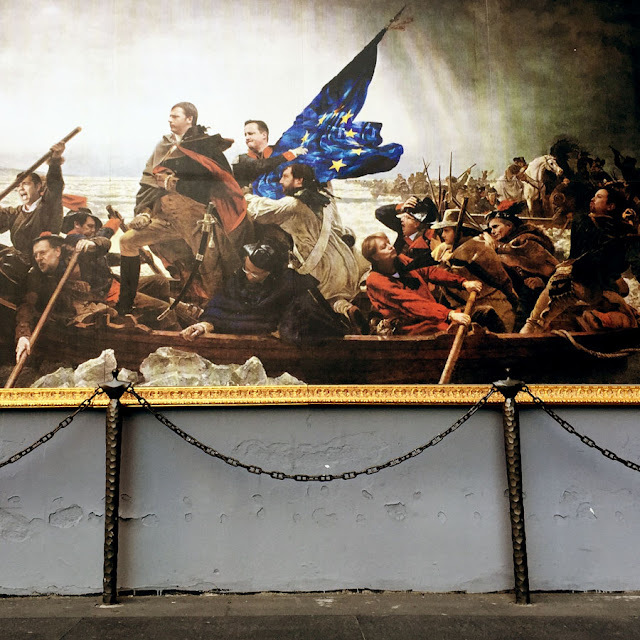 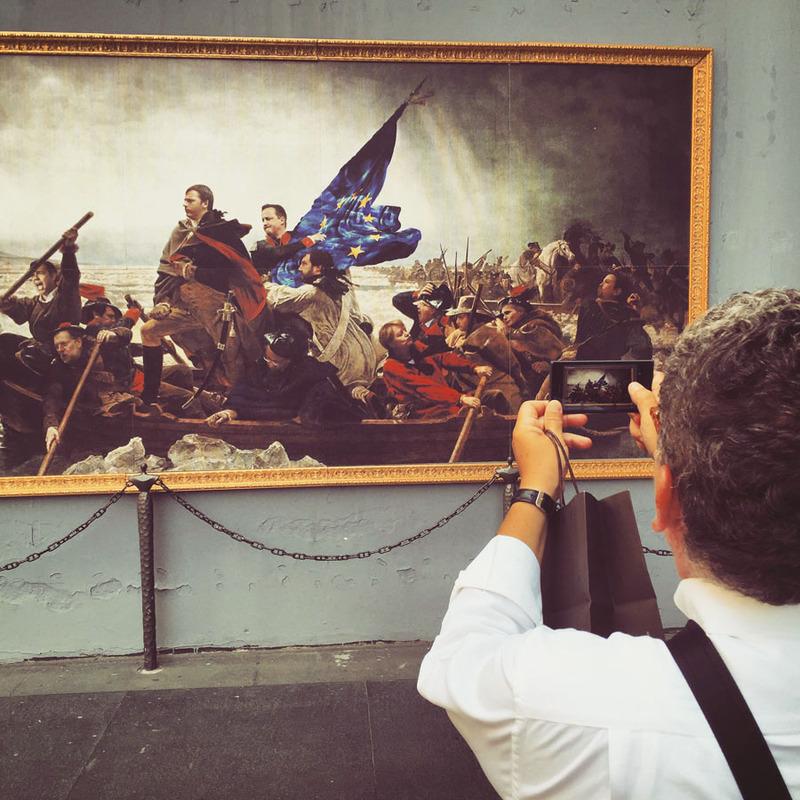 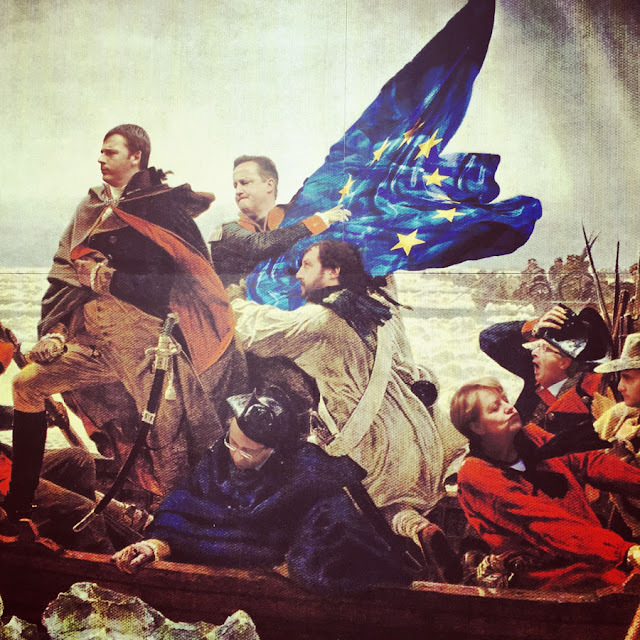 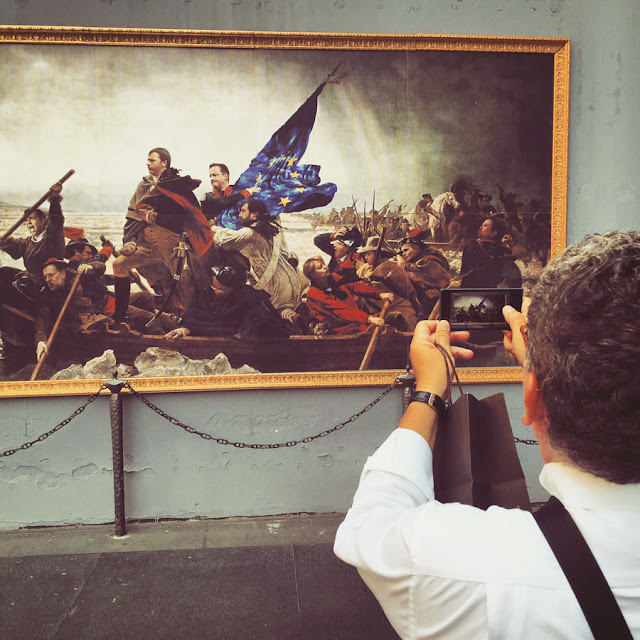 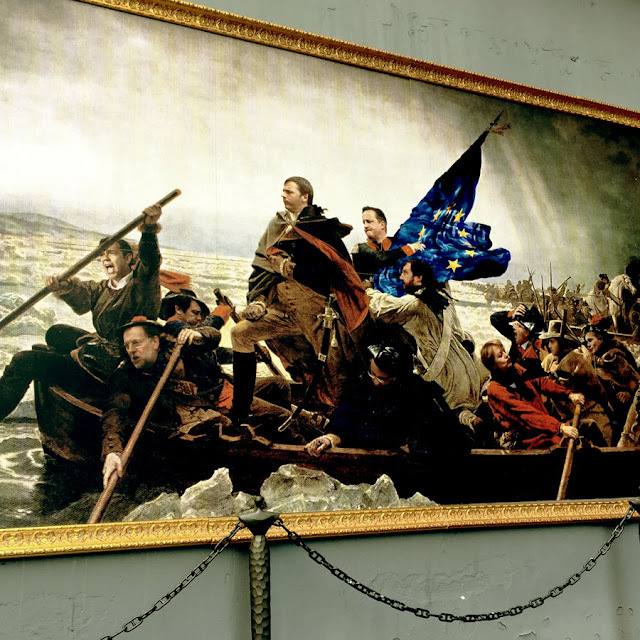 As usual with the Italian artist, he brought to life an oversized paster on a gold frame showing European Prime Ministers crossing a river on a stormy day. 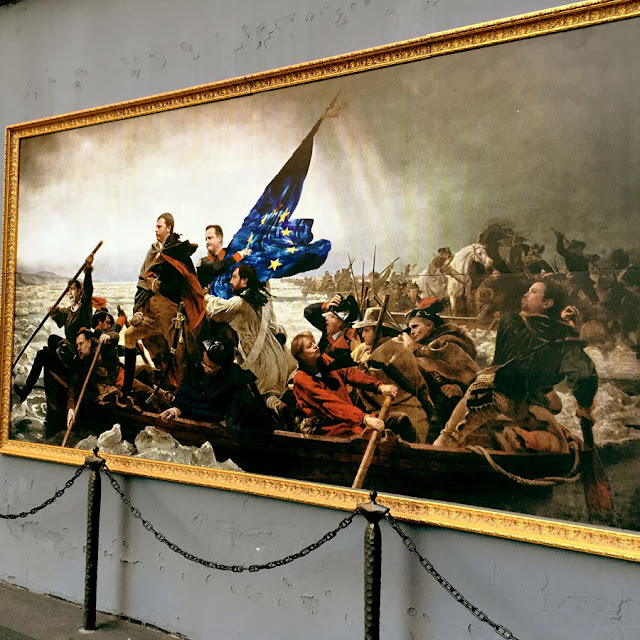 Pasted on a wall at the very centre of Milan, this will surely give a smile to the local residents on their daily walk. 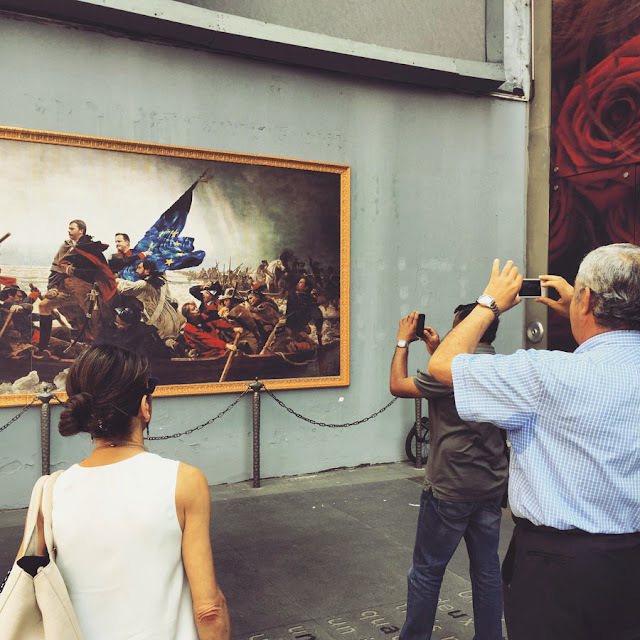 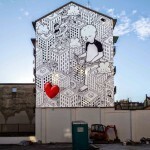 Continue reading for more detailed images on this epic piece and then check back with us soon for more updates from Italy.